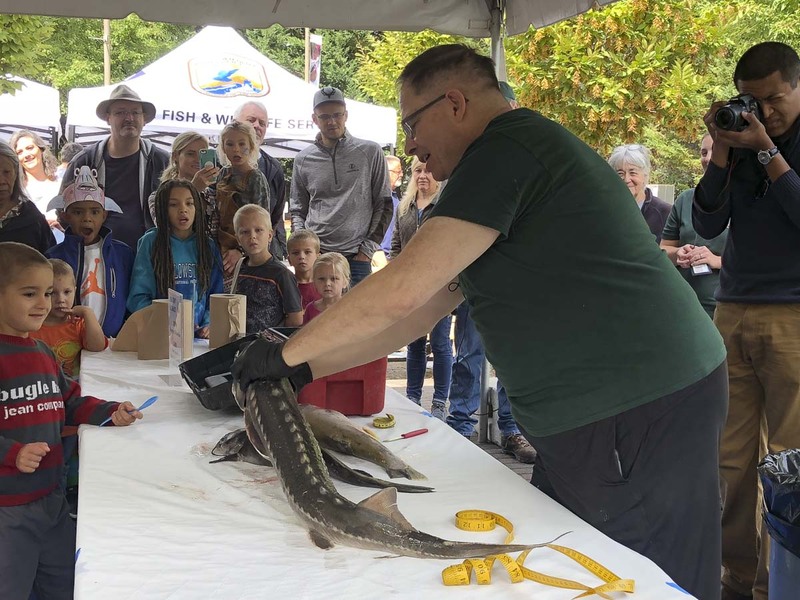 An annual event at the Water Resources Education Center, the Sturgeon Festival is more than just learning about these fascinating fish. 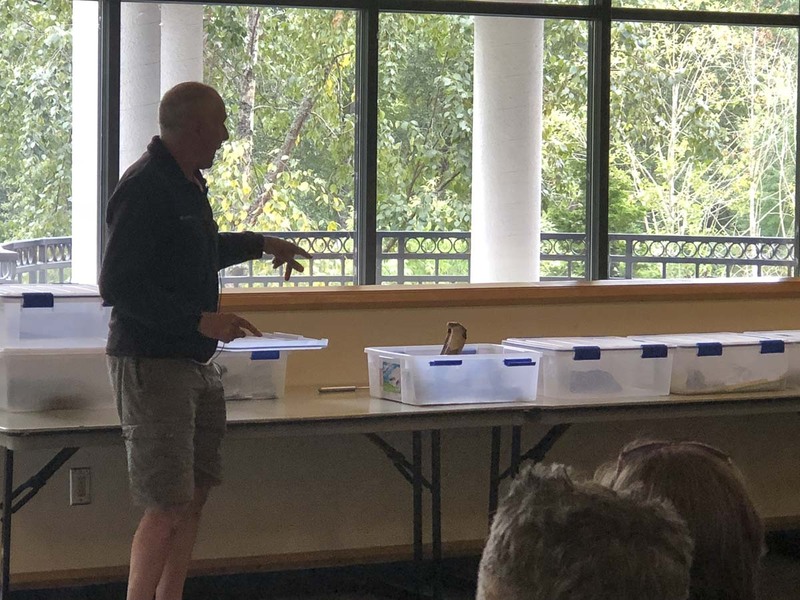 Kids have opportunities to learn about our local ecosystems in and around the Columbia River, how to maintain and protect them, and what lives in them. 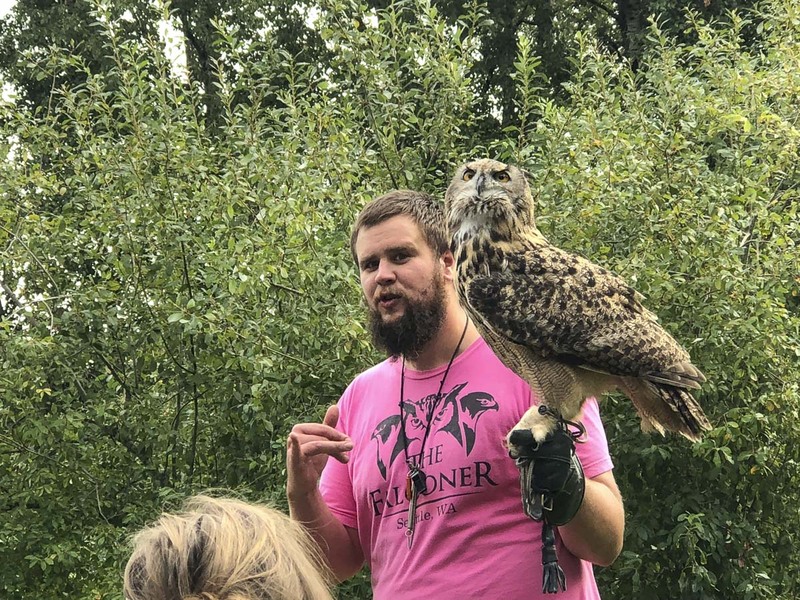 There was so much to see and do with many booths of activities and various shows that included a Birds of Prey Show with The Falconer, a Fish Dissection with Washington Department of Fish & Wildlife, a Live Reptile Show with Steve’s Creature Feature and others. New this year, the free event also included a Walk to the River with the Water Center and the Earth and Spirit Council. You can learn more about the event here: https://www.cityofvancouver.us/publicworks/page/sturgeon-festival. Learn more about the Water Resources Education Center and find other upcoming events here: https://www.cityofvancouver.us/publicworks/page/water-resources-education-center.